Let me show you the interesting Facts about Bubbles below. You can create bubble from the soap filled with water. 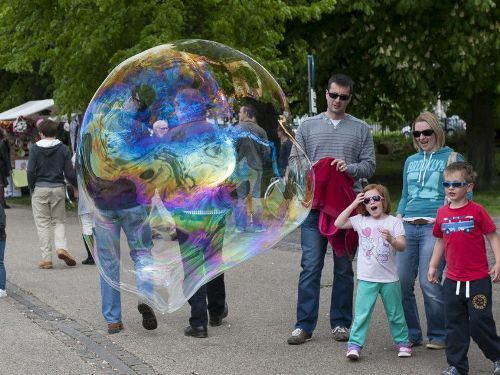 The soap bubbles only last for few seconds after you create them. The bubble will disappear after it faces contact with other objects. The bubbles are created by the people for various reasons. They use it for artistic performance, or even for enjoyment. Bubbles seem to change the colors when they are reflected by the light. The colors are from the interference of light of the soap film. They are not produced like those that you see in the rainbow. If you are interested to know the complex mathematical problem of a minimal surface, you can study about soap bubble. The surface of a soap bubble has constant mean curvature because it has different pressure inside and outside. The soap film has zero mean curvature for it has equal pressure for inside and outside. The usage of soap bubble films is always associated with the problem solving applications. It was used to decide the geometry of a surface area by Frei Otto. 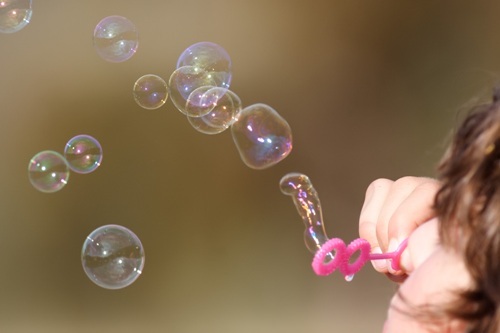 Bubbles are used widely in education. The teachers use bubbles as media to show the students different concepts such as mirrored surface, color formation, elastic properties, transparency, convex surfaces and flexibility. Find out aluminum foil facts here. There are different kinds of shapes that the teachers can present to the students by checking bubbles such as hexagon, tetrahedron, cube, sphere, circle, triangle and square. There are positive effects that the young children can get by playing the artificial bubbles for entertainment. The children have enhanced motor skills and motion skills. In 1940s, Chemtoy was a company located in Chicago which sold bubble solution. Then the solution is very popular among people. There is a report which states that 200 million bottles of bubble solution are sold every year. Get facts about Bubble Wrap here. 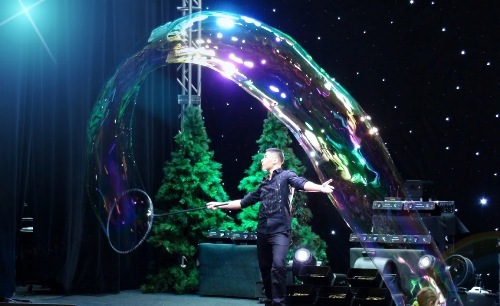 The soap bubbles will freeze when you blow them with the air temperature less than 5 degree F or 15 degree C.
Bubble is often combined with art performance. 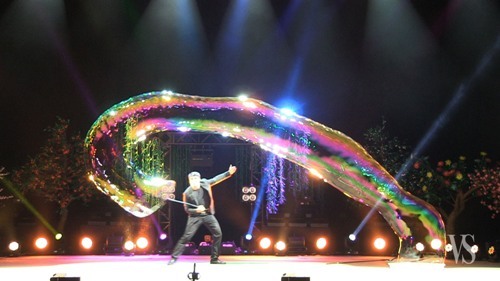 The performers often create giant bubbles. 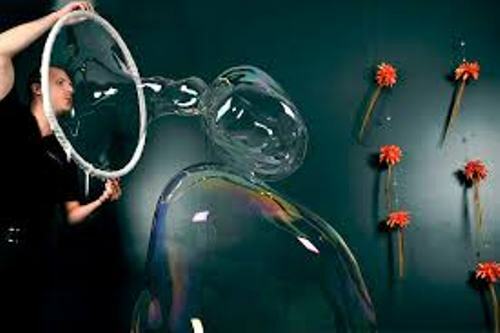 Others try to create the bubbles in various forms. Do you like reading facts about bubbles?